Many MINIs have logged significant miles to date, and most have road-weary suspension setups. 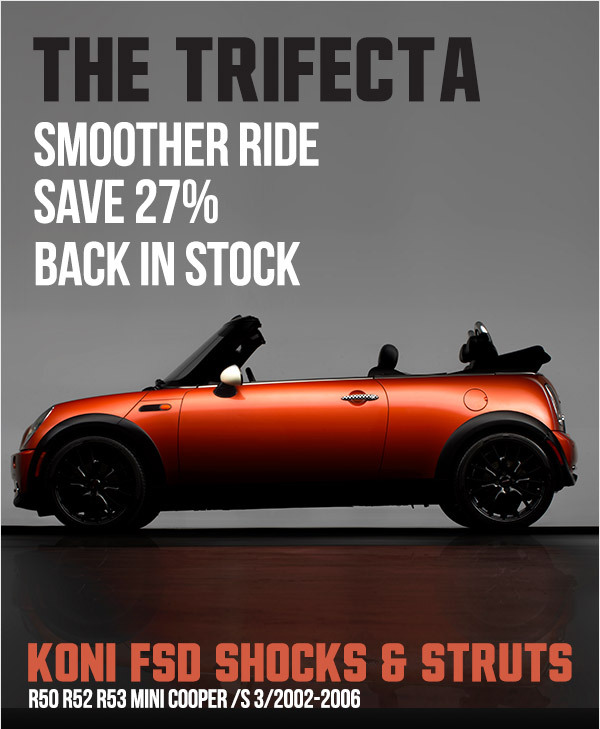 KONI Struts and Shocks have been a favorite replacement choice for performance enthusiasts; they offer a perfect blend of even, more stable handling dynamics with ride compliance & comfort. 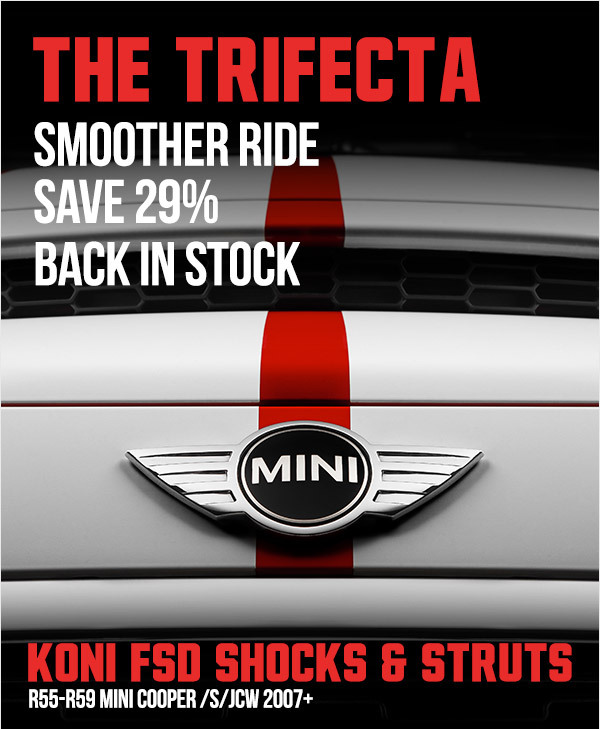 Available with Frequency Selective Damping (FSD) technology, KONI shocks & struts are a wise performance upgrade for your R50, R52, R53 MINI Cooper/Base/S. The lowered ride height achieved by upgrading your factory suspension is a consequence of the modification, not its purpose. The ST-line Performance Coilovers utilize tempered high-strength springs, hardened chrome piston rods, and galvanized zinc-plated strut housings - a consequence of which is a powerful, aggressive stance. But the enduring value of this arrangement lay in its durability, reliability, and strict adherence to precise engineering. 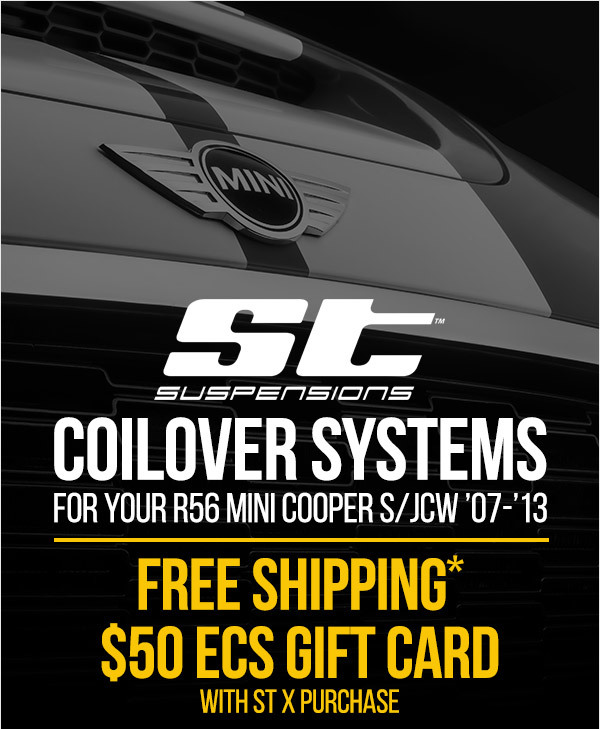 Quick Reply: Koni FSD SALE & ST Coilovers Lower Price & Back in Stock !